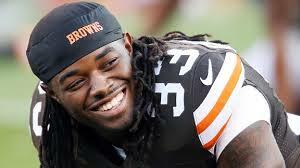 Cleveland Browns fans are not smiling after the trade that sent Trent Richardson to the Indianapolis Colts. Cubs fans smile no matter what. The Cleveland Browns took a page out of the Chicago Cubs managerial handbook yesterday as they traded Trent Richardson – a player capable of helping them win today – for the draft rights to an as yet unselected player that might help in 2014 at the earliest. Fans of the Browns are understandably pissed this morning. After all, the season tickets on top of their refrigerator are for the 2013 season. Instead of watching a 22 year-old stud like Trent Richardson carrying the offensive load as the Browns try to win more than five games for the first time since 2007, they will step into an NFL time machine to see Willis McGahee try to recapture some magic. Did Earnest Byner not pick up his phone? The flag has been thrown in, and Browns fans are being forced to embrace the reality that the next important day on their calendar is May 8th – the date of the 2014 NFL Draft’s first round. Browns fans have not found a way to accept the kick the can down the street managerial strategy the way Cubs fans have. “We’ll be good in three years!” is not being chanted with the same enthusiasm in Cleveland this morning as it is on Chicago’s North Side. So what happens when he runs for 1800 yards this year for the Colts and we take a flyer on the 18th pick of next years draft hoping he pans out? Any 35yo QBs coming out of college next year? This is the dumbest f***ing thing I’ve EVER heard. 2-14. Number 2 pick in draft. Dumbardi lives up to his name. A late first round pick is all you get? Well, TR might as well punch his ticket to Hawaii now, because he’ll all of a sudden become a pro bowler. Guaranteed. The logisitcs of getting less than value is dimwitted and short-minded. They (the FO) just threw in the towel after week 2. Idiotic. I hate this… I’m thinking I might just be done. Our Franchise RB- F***ing MORONS@@!@!!!!! We don’t have a running back on our roster that wasn’t on the street three weeks ago. We are starting a QB with one career start, also off the street, who was cut by three teams last year. I’m sure this will work. That’s how you get angry at a franchise that throws in the towel early year after year. Browns fans have learned over the generations that losing today to build a champion tomorrow is bad business. Nothing in 2014 or beyond is guaranteed by sending the #3 overall pick a year ago to the Colts. Cubs fans don’t grasp that losing today has no bearing upon their ability to win in 2016. They act like the deals sending overpaid veterans to other clubs for prospects guarantee victories down the road. There is no doubt that the Cubs will improve over the next couple of years – how could they not? The job for the 2014 and beyond Cubs isn’t to improve comparative to the 2013 Cubs, but to close the gap on the St. Louis Cardinals, Pittsburgh Pirates, and Cincinnati Reds. Team president Theo Epstein and GM Jed Hoyer are smarter than their predecessor – without question – but the job is to be smarter than Cards GM John Mozeliak, Bucs GM Neal Huntington, and Reds GM Walt Jockety. Fortunately for the Browns, the AFC North is a little more fluid, and parity is possible in the NFL. Catching the Steelers and Ravens, who are both backsliding, and the Bengals as they briefly ascend (does anyone really believe Mike Brown won’t screw that up somehow?) is possible with a franchise quarterback. That doesn’t make season ticket holders feel less like buffoons for spending hard earned cash to watch a 2013 team with no chance to win. I understand that Javier Baez, Albert Almora, Jorge Soler, Kris Bryant, and other prospects will improve the quality of play at Wrigley Field over the current lineup of journeymen. How those players will compete with a Cardinals team whose farm system is the envy of virtually every organization in baseball is beyond my ability to grasp. Wait ’til next year rings hollow after a decade, and Browns fans understand that. Cubs fans haven’t figured it out after more than a century of lessons. Maybe Cleveland sports fans are just a little bit smarter than Cubs fans. 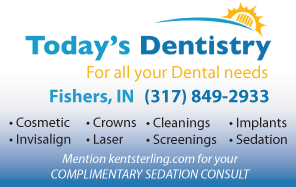 This entry was posted in Chicago Cubs, Featured Story, Indianapolis Colts and tagged Albert Almora, Browns fans reaction, Browns message board, Cubs fans, Dan Dakich, Earnest Byner, Javier Baez, Jorge Soler, Karl Ravech, Kris Bryant, Mike Brown, Trent Richardson, Willis McGahee on September 19, 2013 by Kent Sterling.